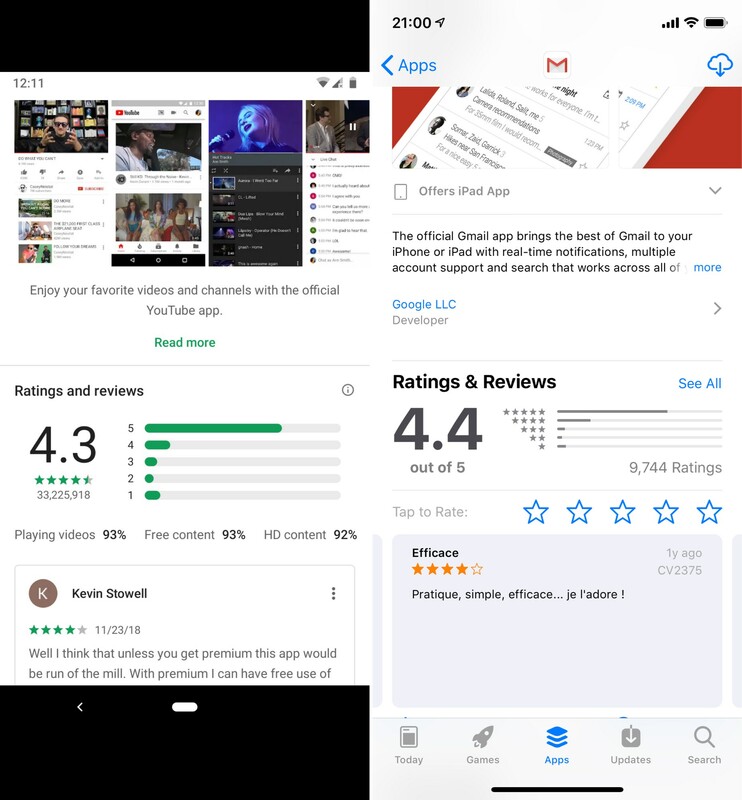 While Google's new nearly all-white Material Design update for the Google Play Store has been rolling out and rolling back for many users since May 2018 eliciting mixed responses. Some say it's sleek and elegant, others dislike the brightness and lack of differentiation between elements. But one new change rolling out to some users is gaining praise from all sides - a refresh of the ratings and reviews section that lets users filter reviews quickly and efficiently by star rating. 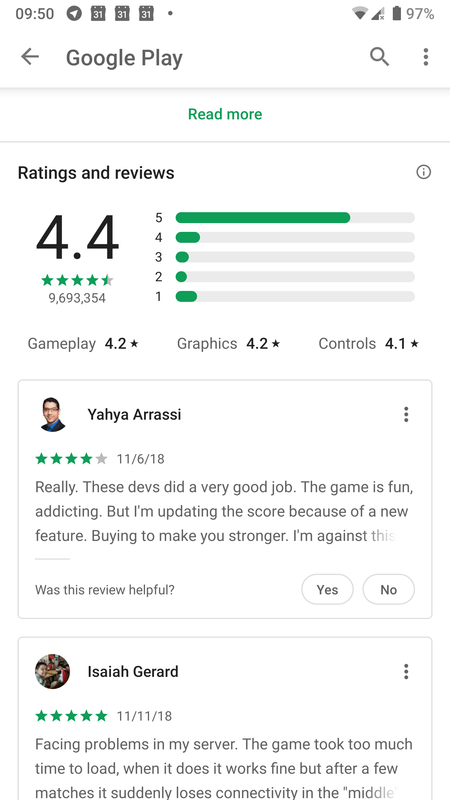 The Google Play Store's new look for the ratings and reviews section. 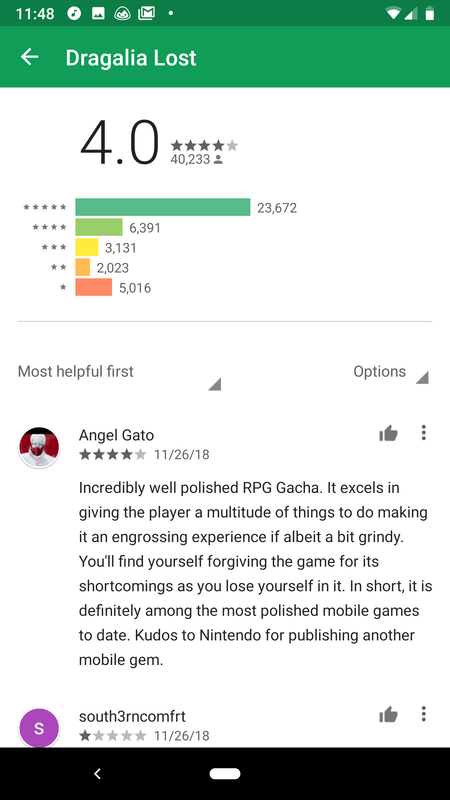 The new ratings and reviews section looks a lot like iOS at first glance, especially the bars on the right side that measure how many of each star rating the app or game has garnered. 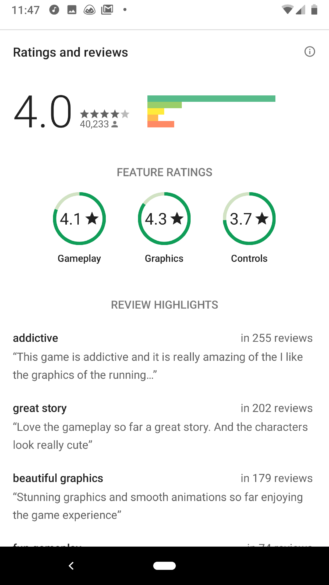 It's also less colorful than the previous iteration, and jumps immediately into review cards, bypassing the key phrase snippets that existed before. 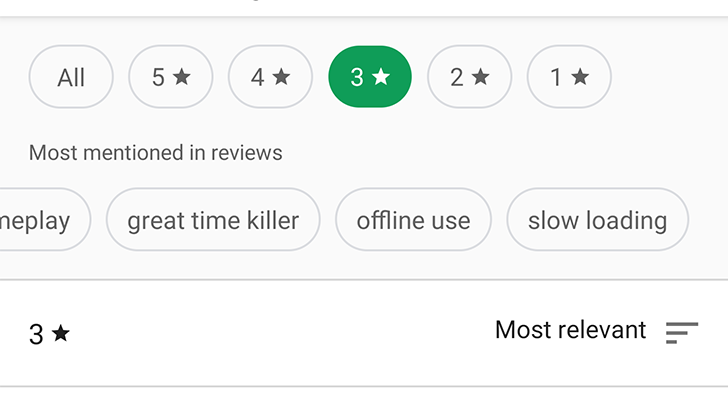 There is a smaller banner ahead of the review cards that serves the same purpose, though, showing key phrases and how often they turn up in reviews. 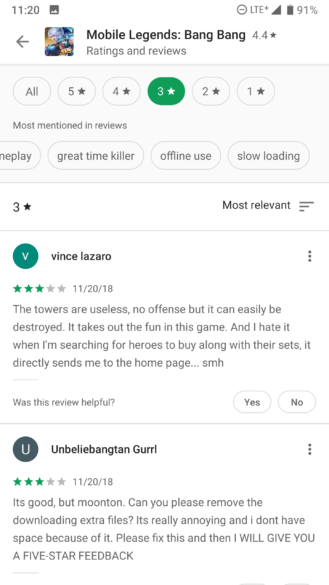 The ratings and reviews section's previous look. All in all, it's a streamlined update that makes intuitive sense, and users on Reddit are responding well. It seems like it's a limited server side update for now, though, so you'll just have to keep an eye out for it to land at some point in the near future. The redesigned ratings and reviews section is rolling out to a wider audience, and we've spotted another test: Top reviews. 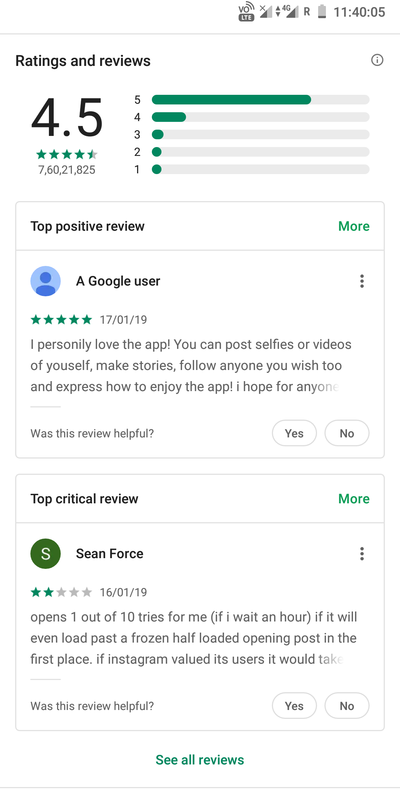 The new section includes a top positive and top critical review, presumably based on the review's helpfulness rating. It may not look precisely like this for you, Google has dozens (hundreds?) of Play Store tests affecting UI going. Paired with high-effort reviews, this feature could provide you a much better survey for a given app's quality. Like all of Google's tests, not everyone will see this change right away (if at all), so YMMV.